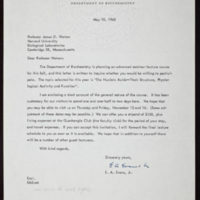 Sent from G.B.B.M. 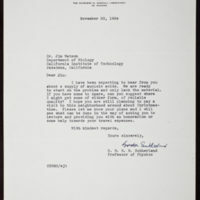 Sutherland to James D. Watson. 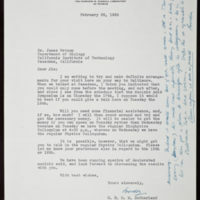 Watson spoke at this symposium on the structure of DNA and RNA. 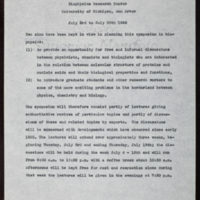 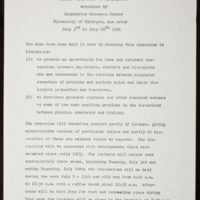 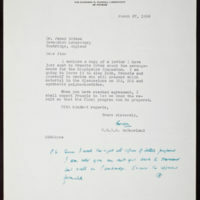 Enclosure from Sutherland to James D. Watson regarding Biophysics Symposium at the University of Michigan. 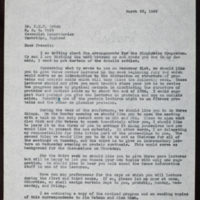 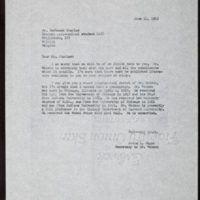 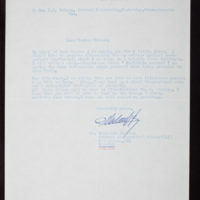 Enclosed with letter from Sutherland to Francis Crick regarding Biophysics Symposium at the University of Michigan. 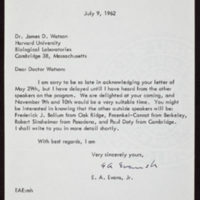 Regarding Watson visit and possible lecture at the University of Michigan.